2) Sound source (music player). It consists of an 8Ω coil and 1000Ω coil (Impedance matching are required for a maximum audio power transfer). To detect the optical signal. 3) A stereo microphone jack. 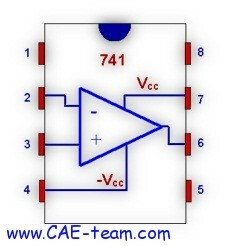 Determine the gain of the amplifier. 1. The photo resistor it takes a slightly longer time to detect the light changes. 2. To decrease the effect of ambient light on the circuit. واي شخص عنده اي ستفسار او يحب المساعده.